First of all, I’d like to thank two long-time Icehawks board members for their dedicated volunteer service. Both Kate Danvers and Mike Gorra have decided to retire after many years of helping our program. Kate served faithfully as registrar and Mike tirelessly ran our in house program. Thank you both! John Chepren has agreed to join the board to fill the role of registrar. Lee Fader slides over to run our in house program. Keith Goethner is now our equipment manager while Kate Heslin joins our board to spearhead our fundraising efforts. Thank you all for adding these responsibilities to your already busy lives! Speaking of volunteers, I thought I’d outline some of the things that take place to prepare for a youth hockey season. Let’s call this segment “The Making Of...An Icehawks Season”. Since tryouts for our travel teams were successfully completed back in March, orders for over 120 uniforms have been collected and placed by several people including Tiffany Delmonico and Matt DeSmith. Besides helping out on the ice as an assistant coach and goalie coach, Matt also attends monthly CHC meetings in West Haven to keep the board up-to-date on the latest rule changes. And, as many of you remember, Matt is responsible for the new logo branding and merchandise design. That’s one busy CHC Representative! Our coaching director, Matt Delmonico, along with help from other Icehawks coaches, planned and ran our summer skills clinics. He is also working with the coaches to make sure they are all aware of the significant certification requirements imposed by USA Hockey in order to be allowed to coach our children. Those coaches will be attending various coaching clinics later this year. Kate and Tiffany will be planning for our major fundraiser...the Skate-A-Thon to be held on September 6th. There will be many volunteers to staff the booth at the New Milford Fair Days later in July. OK, so when do our kids get to play games? Not so fast! First, we need ice. After Tiffany and I negotiate contracts with each of the rinks that we play at, our master scheduler, Jen LaCava, will take the schedules from the rinks and divide the times and dates up among all of our travel teams, limited travel teams, and in house programs. Once each team has their assigned ice, a group of volunteers and coaches will attend a scheduler’s meeting in August to book games for our travel and limited travel teams. They will also work their emails to complete the schedules well into September. I will make sure the schedules get uploaded to the CHC website correctly and I’ll also arrange for the referees to show up at the right rink at the right time! I will also be securing the proper insurance that allows our kids to play and practice safely. Uniforms will be distributed in time for the first game. Scoring sheets will be distributed to each team. Rosters will be submitted to the CHC for approval. Travel teams will be “declared” into the right tier for year-end state tournament competition. Year-end tournament deposit payments will be made. The mid-season tournament will be booked and hotel rooms will be blocked off. All of this without a single game being played! 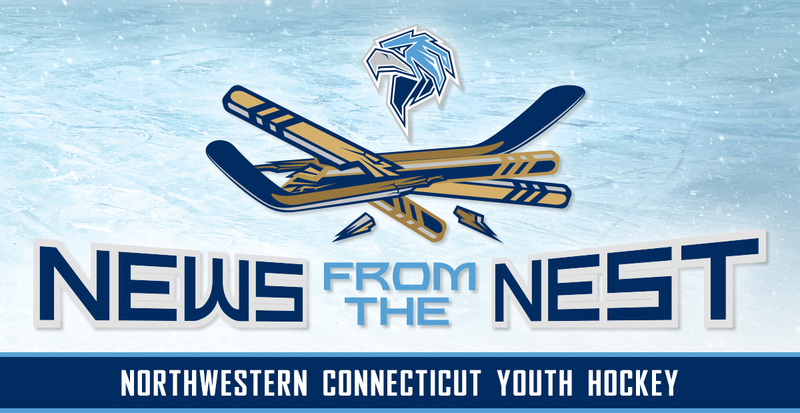 I thought you might enjoy hearing about what it takes to pull together a successful youth hockey season. We’re all looking forward to a nice relaxing summer...well, not so much!